Eat quality protein. Eat lots of vegetables. Use spices rather than sugary sauces. Try this approach and see how it works for you! People talk a lot about inflammation these days: What it is, where it begins, what consequences it produces, and of course, how you can fight it. Depending on who you're listening to, it's either an unavoidable part of modern life—and the modern diet—or something you can control or avoid. After doing a lot of research and experimentation, I find myself in the middle. In other words, I believe you have some power over inflammation, but you have to be serious and methodical in how you approach it. For me, fighting chronic inflammation begins in the gut. Gut health relates to effective digestion and absorption of the foods and nutrients we eat, as well as the overall health of the gastrointestinal tract. This isn't limited to your stomach, but includes your large and small intestines and colon, too. These are some of the largest organs and systems in your body, so you can't expect to make significant impacts with just tiny changes to your lifestyle. However, the payoff can be significant. When you do not maintain positive gut health, inflammation is the body's natural response. Yes, that's a lot of symptoms, and most of us have experienced at least a few of them. That doesn't mean you are experiencing chronic inflammation. But, if any—or several—of these conditions are your norm rather than the exception, you have nothing to lose by taking a good look at your diet. How we treat our digestive system determines not only how well our body digests and absorbs nutrients, but also how well it resists inflammation. Simply put, our health starts with what we eat. Food allergies play a prominent role in the inflammatory response, as do processed foods and foods high in sugar. Many of us consume inflammation-causing foods and don't even realize it. An anti-inflammatory diet is more about what you don't eat than what you do. That said, the foods you eat can have a tremendous impact on your gut health and reducing inflammation, so choosing whole foods naturally low in sugar is a great place to start. For certain people—but not everybody—this may also involve eliminating dairy products. Simply put, just eat real food! A solid beginning for an anti-inflammatory diet is composed primarily of vegetables, fruits, nuts, seeds, plant- or animal-based protein, and hypoallergenic grains such as rice and quinoa. There's more room to customize for taste than you might think! The idea of eating whole foods for better health is not new. You may have heard of the paleo or Mediterranean diets, both of which promote the health-enhancing benefits of eating minimally-processed whole foods. Regardless of the label you put on it, eating simple, largely unprocessed food is key for reducing inflammation and improving gut health. If you are already eating a diet based mostly on whole foods and still have symptoms, you may consider a visit to a food specialist or allergist to dive a bit deeper into what is initiating your symptoms. O'Keefe, J. H., Gheewala, N. M., & O'Keefe, J. O. (2008). Dietary strategies for improving post-prandial glucose, lipids, inflammation, and cardiovascular health. Journal of the American College of Cardiology, 51(3), 249-255. Shahidi, F. (2009). 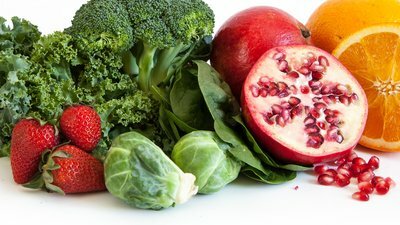 Nutraceuticals and functional foods: whole versus processed foods. Trends in Food Science & Technology, 20(9), 376-387.